Less than two weeks now until the new school year begins. If you have already purchased the uniform and much needed school essentials then you may now be thinking of what to put in your child’s packed lunch bag. Schools didn’t used to mind or check what kids had inside their lunch bags but have now become much stricter in order to promote more healthy eating. In particular the focus seems to be on deserts, chocolate and the drink children bring into school. No fizzy stuff, no energy drink or any other rubbish is allowed at my children’s school when it comes to their drinks. This also applies for school trips as well as lunch and drinks for breaktime etc. It has to be water or a healthy school approved alternative and this is where Cawston Press come in useful. 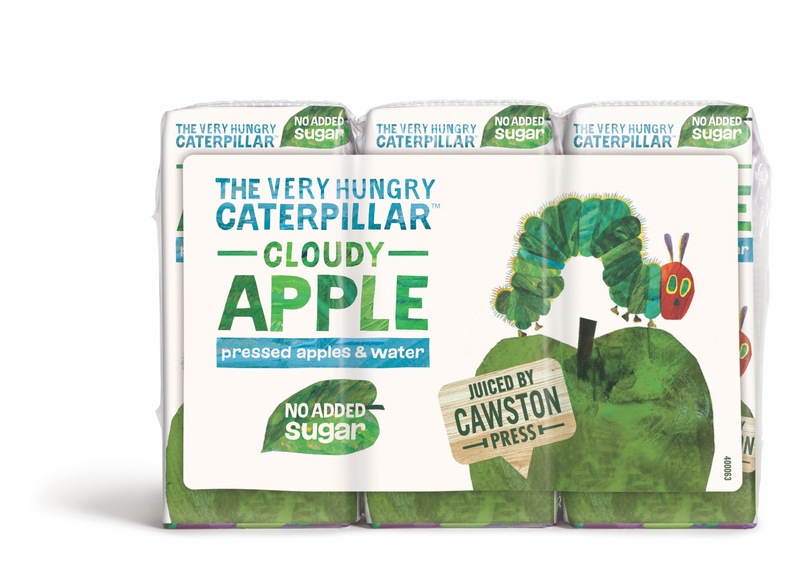 Cawston Press are a leading British drinks brand and have a recent new addition to its Kids Blend range: The Very Hungry Caterpillar Cloudy Apple juice. 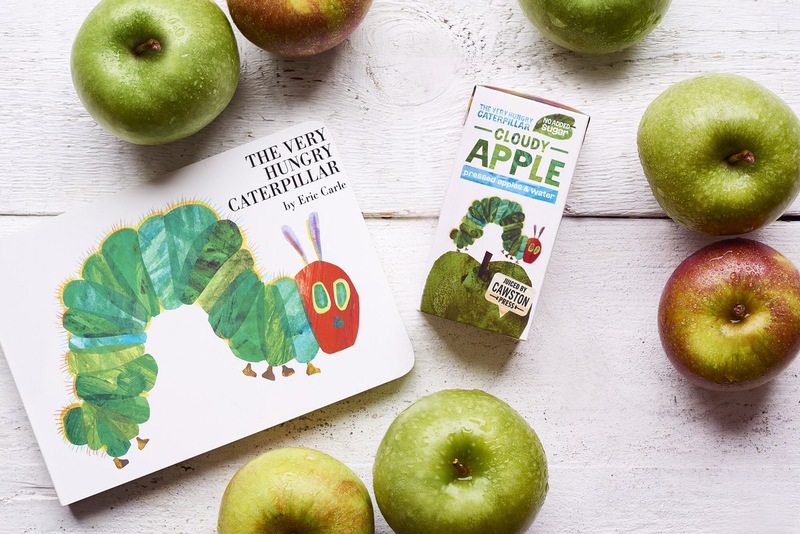 These new carton drinks feature The Very Hungry Caterpillar on its pack and is the first partnership of its kind with Rocket Licensing and ‘The World of Eric Carle’ who is of course the author of “The Very Hungry Caterpillar” a book that we own and is read frequently in schools. The juice comprises 50% Cawston Press apple juice and 50% water. It’s a very refreshing sweet tasting drink but without the addition of added sugars meaning it is School approved and perfect for lunch boxes or school break. Of course they don’t need to just me for school either. They seem to be a hit at breakfast time with my kids and are a perfect size for trips, or just a refreshment when thirsty. The drink is available in packs of 3 cartons 200ml size at Ocado,Waitrose and Tesco stores. It is priced in line with the current Kids Blend range, which includes Apple & Pear, Apple & Mango, and Apple & Summer Berries at £1.89.